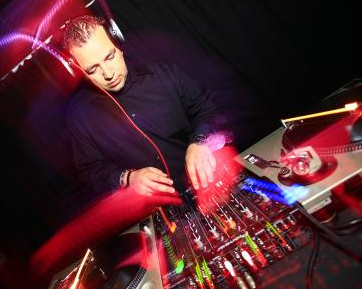 DJ CO1 started his mixing career in Orange County, California in the late 90s. Currently, you can catch him on-air at 98.5 KLUC and Q 100.5 in Las Vegas, NV. He is also featured as the DJ/Mixer for the “Zach Sang Show” nationally syndicated in over 35 markets country wide. As Mixshow Coordinator at 98.5 KLUC and Q 100.5, DJ CO1 has played an essential role in music selection, maintaining mixshow consistency, participating and hosting station events, and contributing to earn #1 radio ratings. His on-air schedule is filled with a non-stop agenda performing seven days a week on top rated mix shows. You can also find CO1 along side his good friend Chet Buchanan from 98.5 KLUC’s Chet Buchanan and the Morning Zoo. Together, Chet and CO1 provide hosting and music at various charity and high profile events in Las Vegas. Old School Lunch Hour on 98.5 KLUC (12 noon – Fridays) – DJ CO1 has hosted artists such as LL Cool J, E-40, Brian McKnight, Keri Hilson, Cameo, Jo Koy, and others during the old school lunch hour. Club 985 AfterHours Vegas (Electronic Dance Music) on 98.5 KLUC every Saturday Night! – DJ CO1 has hosted artists such as Zedd, Armin Van Buuren, Dash Berlin, Diplo, Dillon Francis, Richard Vission, Dirty Freqs, Steve Aoki, EC Twins, Paul Okenfold, Jump Smokers, and many others on Club 985 AfterHours. Resident DJ for Brooklyn Bowl (Las Vegas) 80’s & 90’s Night. Hector Minjarez, aka DJ CO1 was born and raised in Santa Ana, CA. Hector is an entrepreneur that goes above and beyond to satisfy his clientele and focuses on maintaining solid relationships that allow continuous business growth. Hector attended Santa Ana College and received his Associate Degree in Criminal Justice. He currently volunteers in his community and donates his time to charity events.